Toss all vegetables together in a bowl with 2 tbsp pickling salt; let sit for 4-6 hours at room temperature. 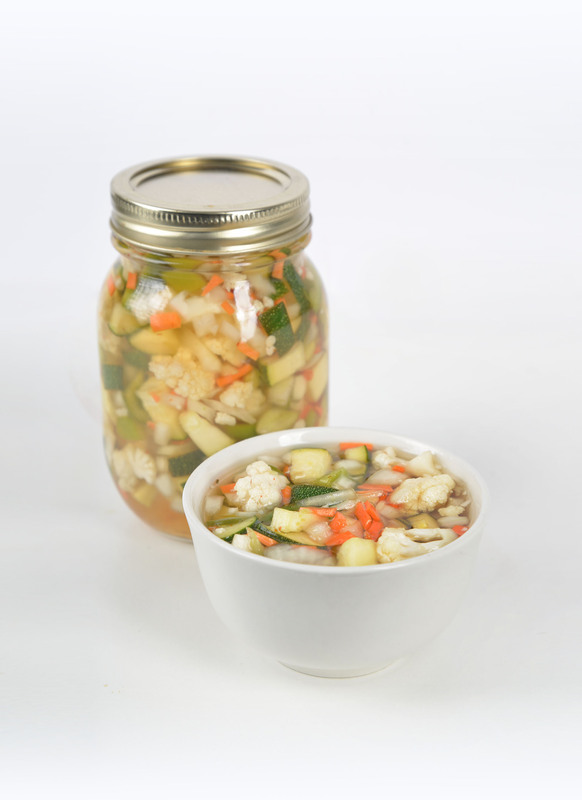 Rinse veggies and drain well, then divide them equally between two sterilized 500 ml mason jars. Bring your water bath to a boil while preparing the pickling liquid.